Pain Physicians NY (Brooklyn, Queens, Manhattan, Bronx NYC) is one of the first practices in New York to offer alternative treatment for neck pain & chronic neck pain. At our Pain Management center you will get the necessary medical help and relieve for your neck pain. Our pain management specialists will help you reduce and even totally eliminate your neck pain. There is no need for you to suffer at home. Make an appointment and get the help you need. 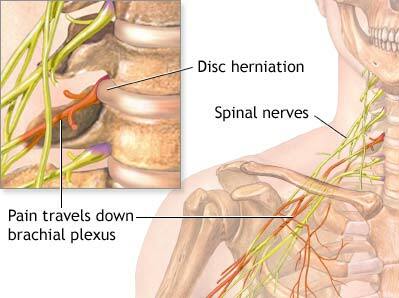 Neck pain is one of the most common causes of chronic disability. It affects people of all genders and ages, worldwide. The causes of neck pain vary from accidents due to a fall, car accidents, structural deformities of the neck vertebrae, persistent stress and even from incorrect posture. Excessive use of the computer and smartphones are a great contributor to your neck pain too. According to different studies, 10 to 15% of the populations suffer from neck pain at a particular time during their life. The signs and symptoms of neck pain usually don’t last for a long period of time, and might be accompanied by shoulder pain, pain in the arms, numbness and a tingling sensation, loss of strength of the arms, etc. Whatever the reason of your neck pain is, it can really affect your quality of life. The pain itself can vary from mild, moderate to severe and it can even radiate to the shoulders, arms or down your back. Depending on the severity of the pain you are experiencing, different treatment options are available. Remember that your neck needs to carry the weight of your head, about 11 to 15 pounds from the morning until you go to bed. Imagine how much pressure you put on your tiny bones of the neck. Add to that constant rotation of your neck to different positions. The normal human head weighs around 11 to 15 pounds. But, in cases when the neck is at 15 degrees, the weight that your neck supports is 27 pounds. In cases when your neck is in a flexion position at 60 degrees, the total weight that a neck has to support gets around 60 pounds. Usually, you bend your neck to 60 degrees while using smartphones or PC. You have neck pain after an injury or fall. In most of the cases, neck pain is relieved by home treatment and self – care, as well as by taking over the counter painkillers. Ice packs at the initial stage followed by application of the heat in later stages are recommended. Bed rest, a reduction of physical activity and sometimes even an immobilization of the neck with a cervical collar are necessary to relieve your neck pain. If you experience chronic neck pain and haven’t found lasting relief through more conventional pain treatments, medical marijuana treatment offered by our doctors may be right for you. Call medical marijuana doctor Boleslav Kosharskyy MD of Pain Physicians NY with locations in Brooklyn, Queens, Manhattan and Bronx NYC to help you determine if medical marijuana treatment is right for your pain. However, certain kinds of neck pain are not relieved by home treatment and self – care. If, after a couple of days you have no relief of your neck pain, you should seek professional medical help. Our team of doctors at Pain Management Brooklyn NYC are willing to help you get the necessary relieve, with minimal downtime period. First of all, diagnosing your problem is necessary, after which our pain management specialists will suggest a personally determined treatment plan based on your condition. Conservative treatment is suggested always, and if this kind of treatment provides no relieve, more invasive treatment procedures and even surgical treatment are recommended. The most advanced pain management center, Brooklyn pain management doctors and specialists at Pain Physicians NY offer unique, individualized approach to manage your neck pain. We are using the most effective pain management and treatment options to treat pinced nerve, degenerative disc disease, meningitis as well as different forms of arthritis. We are utilizing the latest technologies available in USA.